They are doing some pretty impressive stuff in the Marickville Council area at the moment. This example by David Boyle has a lot of very interesting components. There are some areas we may have done slightly differently, but there are many areas of brilliance! 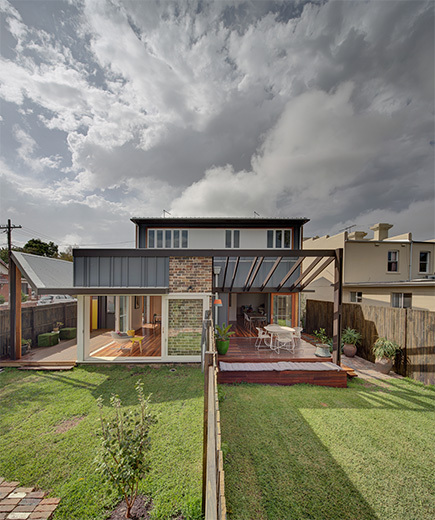 The 2 houses were part of Boyle’s “3 HOUSES MARRICKVILLE” project which included the subdivision of a corner block into 3 Torrens title allotments, construction of a new house and conversion of an existing house into 2 semi-detached houses, which received the 2015 Marrickville Medal. Most of the original building fabric has been restored and the interior has been re-configured. 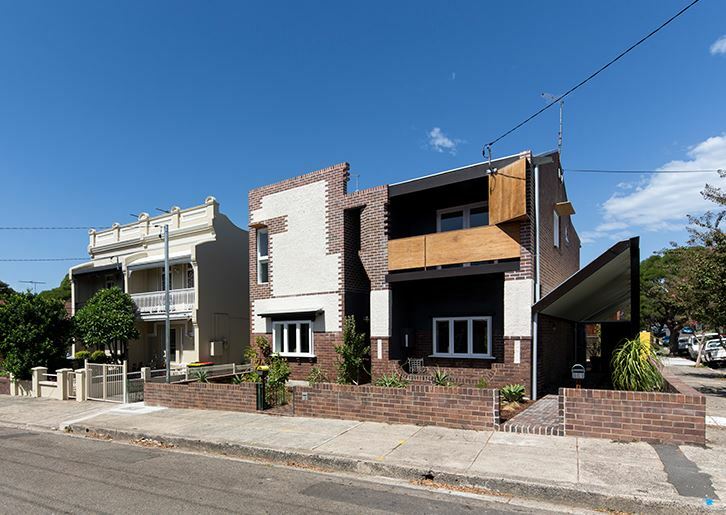 The unsympathetic and dominant upper level mansard roof was removed and replaced with a new façade which references the detail of the original Federation house and the scale and form of the adjoining Terrace houses. The keystone brickwork and roughcast render has been seamlessly extended in a uniquely contemporary approach that remains sympathetic to the Federation base. The proportion of the wall to window ratio on the upper level creates a more solid appearance which is similar to the adjoining terrace and an appropriate response to its northerly orientation. At the rear of the building some of the walls were demolished and the building was extended slightly to create open plan living spaces that connect to new decks and the rear garden. 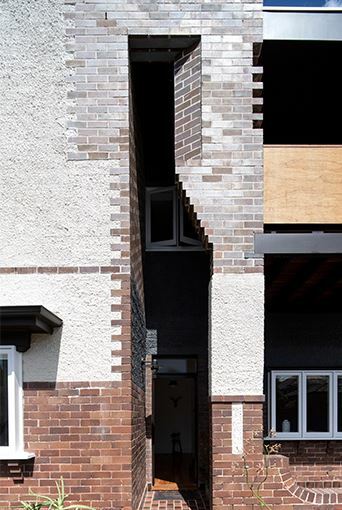 Brickwork is corbelled and chamfered in a decorative way to create a dramatic double height keyhole veranda opening for the side street entry. The brick and roughcast pillars to the existing ground level porch have been extended to create an upper level balcony over the side entrance porch protecting the windows from the northern sun. 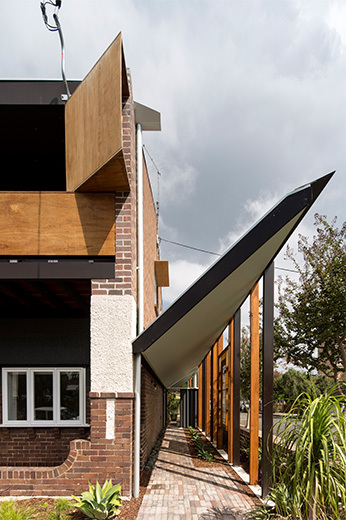 A single storey kick back roof has been added to the side of the house to create an elongated entry verandah from the side street to a covered deck at the rear of the house. The irregular spaced posts will eventually be covered with vines. The theme for this year’s Marrickville Medal was ‘conflict and compassion’. The judges of the competition commended the renovation for its “good modern design with a sense of ­innovation combined with respect for the context and heritage aspects of the site”.